The release of Google Data Studio for free in South Africa has opened up a range of data presentation possibilities for local businesses. Data Studio will help marketers and agencies create stunning reports suited to clients and stakeholder requirements, reduce reporting turnaround times and most importantly reduce reporting discrepancies. No longer do we have to extract data into spreadsheet or Google sheets and manually set up dashboards. We can say goodbye to using formulas and arrays, Vlookups and pivot tables that take up way too much time and way too much RAM, my poor excel has crashed many times putting together monthly reports. While there’s so much that I can write about Data Studio I'd like to focus how to leverage real-time reporting to create dashboards you can send to clients or display around the office for all to see. Google Analytics offers real-time data in its native dashboard however it's pretty static and can't be customised. While this is adequate for some, who among us would say no to setting up a fancy branded dashboard, I know I can't. Be forewarned this will require some effort on your part to set up so read carefully going into this next bit. 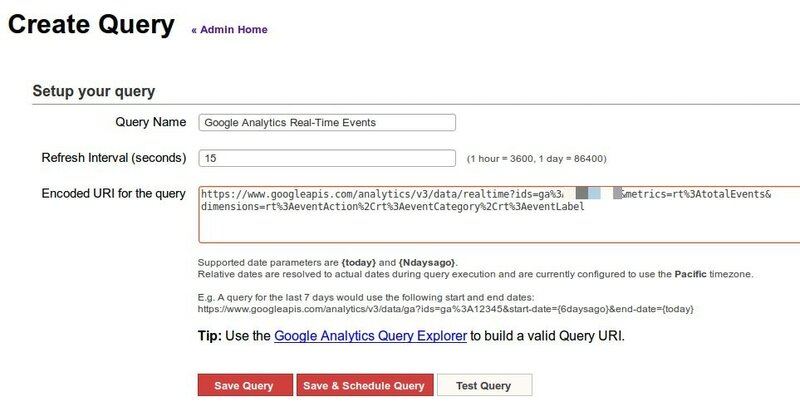 The reason is that even though Data Studio has so many great data connectors including Google Analytics, we have not been privileged enough to be able to connect to the Real-Time Google Analytics API. But that doesn't mean there isn't a solution for it to work. So let us get to it, shall we? 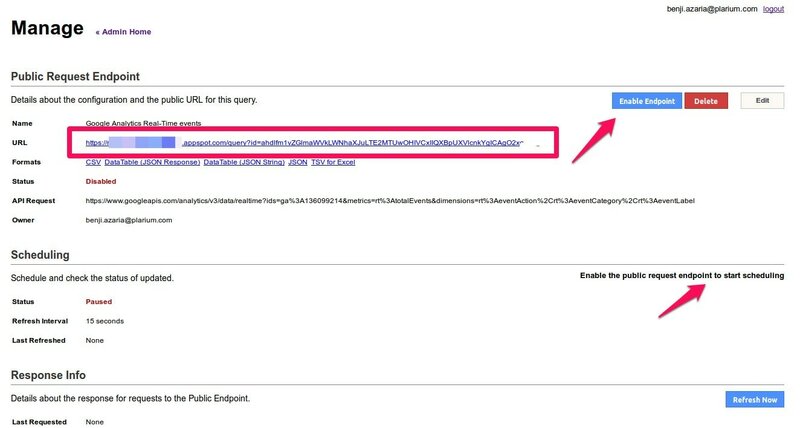 Register an application ID for your application using the App Engine Administration Console. This will give you a free hostname on appspot.com. Edit the app.yaml file in the src directory of the Google Analytics superProxy and set the first line to the application ID you registered in the previous step. E.g. application: your-application-id. Edit or create a new APIs Console Project and add the full URL of your application + /admin/auth as an Authorized Redirect URI for the OAuth 2.0 Client. If using the free appspot.com domain, the redirect URI will look something like https://your-applciation-id.appspot.com/admin/auth. Edit config.py in the Google Analytics superProxy src directory and update OAUTH_CLIENT_ID, OAUTH_CLIENT_SECRET, and OAUTH_REDIRECT_URI if necessary. Using the Google App Engine Launcher or appcfg.py deploy the application. For details see Uploading Your Application. View the app by visiting the /admin page of your application. E.g. https://your-application-id.appspot.com/admin. We will enable our endpoint and then Start Scheduling. Now on to the final step. All you need to do is log in to your data studios account, create a new dashboard and use your Google Sheet created in the previous step as your data source.